Trusting a wedding planner to meet and even exceed your dreams is a big step, believe us, we feel the pressure! Having planned and executed hundreds of weddings in Costa Rica and with combined decades of experience, you can be assured that not only will we deliver your dream but we will also be able to offer ideas and suggest options you may not have thought of. We have hand picked the venues that we work with based on our experience of their ability to deliver as well as their beauty. Every venue is unique and offers something different but their level of service and ability to host fantastic weddings remains constant. Carrying this philosophy over to our providers we have also selected only the best sources for decorations, cakes and finishing. Please read over our testimonials to see what our previous happy guests have had to say about their weddings in paradise. Born into a family of event producers, Larissa's penchant for planning came naturally. After a professional dance career in Canada, she moved into publicity, event production and television/film as a publicist and producer. It was during a shoot on the shores of Costa Rica that she met and fell in love with a local actor - they were married a year later on the beach where they'd met and soon after, Weddings Costa Rica was born. Eleven years and over 600 weddings later, Weddings Costa Rica is regarded as the country's top design and planning firm. Larissa has been named as one of the Top 30 Destination Wedding Planners in the World by Destination Weddings and Honeymoons Magazine, Junebug Weddings' World's Best Wedding Planners and Designers and was one of 80 wedding planners invited to the first Destination Wedding Planners Congress in Greece. Jennifer has been coordinating weddings and events for the past 10 years. A graduate from Les Roches Swiss Hotel Management, she has organized and assisted in weddings and events in Spain, Thailand and Boston. Jennifer was an Event Management Instructor at Endicott College for two years where she organized and taught the organization of events. 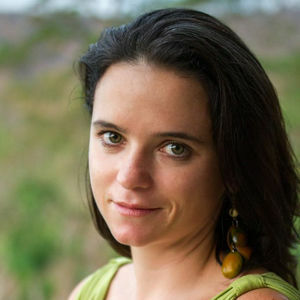 She is based in Guanacaste, where she organizes weddings and events and manages VBO. Hailing from beautiful Buenos Aires, Maruja Roldan is an efficient and hard working coordinator with extensive experience organizing events in Europe, South America and Costa Rica. With over seven years working weddings in the Guanacaste area, Maruja is an expert in local suppliers and places, ensuring that you're day will be as perfect as possible.